Wind can be used in a number of ways to harness energy. A Windmill is a good example of a Mechanical way of using the power to grind grain to make flour. Wind pumps can be used to pump water. 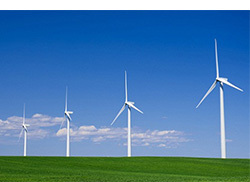 Wind Turbines are used to create electricity.